Anyone else like tang and zest in your dipping sauces?? 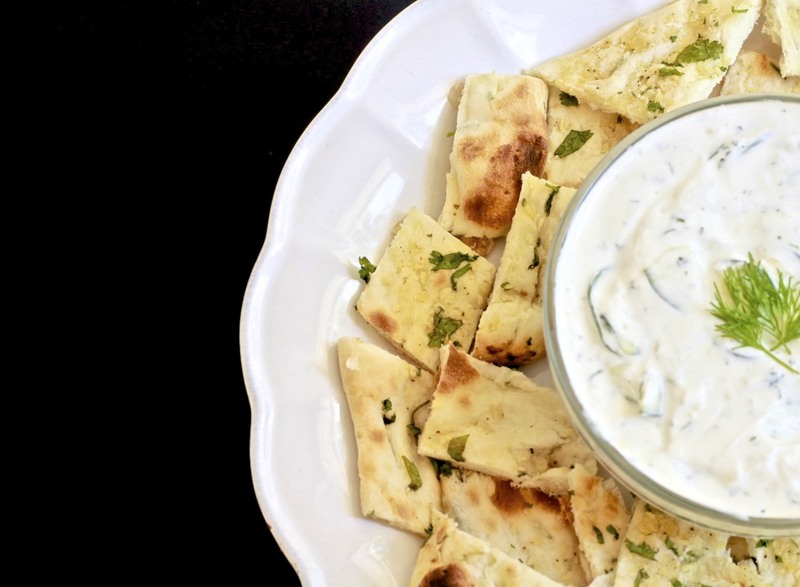 I have been craving a delicious tzatziki sauce to pair with some warm garlic naan. My mouth is watering just thinking about it! Tang isn't for everyone, such as I adore salt and vinegar chips. Yes, I know a few of you are cringing. I assure you that my tzatziki sauce doesn't taste like salt and vinegar chips! One of my favorite herbs, mint, is light, sweet and delicate making it the perfect addition. I, personally, can't have too much mint. 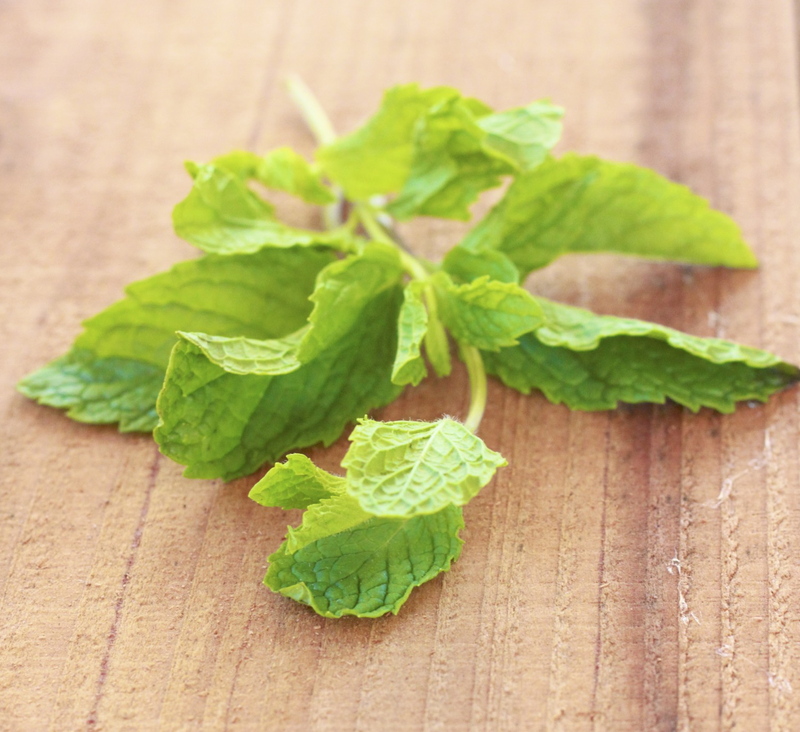 Mint is enriched with Vitamins A and C. It was also revered by the ancient greeks. They named a mythical river nymph, Minthe/Menthe, after the herb. I decided to make the base of the sauce with non-fat sour cream and kefir cheese (it comes in a tub like sour cream.) You tend to see most tzatziki sauces made with greek yogurt but I find that sour cream and kefir cheese (like sour cream but thicker) gives the sauce the perfect thickness. Either way I don't think you could go too wrong. Typically this sauce is served with pita bread but being a naan fan I decided to pair the two together. In a small bowl combine the cucumbers, vinegar and garlic. 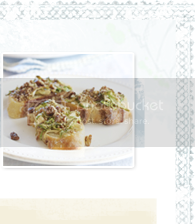 Let marinate for 10 minutes and preheat the oven to 400 degrees. Combine the dill, mint, taragon, lemon and salt to the cucumber mixture. Let marinate for another 10 minutes. Next incorporate the sour cream and kefir cheese and stir until well incorporated. Let chill in the fridge for at least and hour before serving. Wrap the naan in aluminum foil and bake until warm, about 10 minutes. Cut warm naan into bite sized pieces and serve with chilled tzatziki sauce. 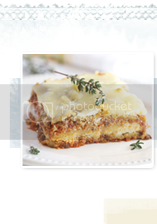 So-I LOVE tzatziki and would love to try this! But help me on the kefir cheese. I use Kefir-liquid yogurt for making smoothies-is that the same? Or does Kefir come in a cheese form? Where do I get it and is it firm? Just wondering what to look for. Thanks so much!